Have you ever had the experience of listening to calming music and feeling like your mood just improved by listening? Or perhaps the sounds of animals in the woods have that effect for you, such as birds, frogs, and crickets? Still others can sit at the ocean and listen with their eyes closed for what feels like hours, allowing the sound to wash over them as if it were the ocean itself. Each of these experiences demonstrates the strong link between hearing and mood. On the contrary, many of us have experienced grating and brash sounds that bring out our worst moods. Often these sounds are associated with other negative stimuli, such as traffic or harsh work conditions, but other times the sound alone has a profound effect on mood, such as when we are unable to sleep due to the sound of construction. Although these anecdotal accounts demonstrate the link between hearing and mood, a recent study seeks to demonstrate the specific link between hearing and an essential chemical to support positive moods: dopamine. This study was conducted at the School of Biological Sciences at Washington State University Vancouver in the hearing and communication lab. Christine Profors, the associate professor running the project, has help from David Perkel, professor of biology and otolaryngology at the University of Washington. Together the two of them devised a study to trace the relationship between hearing and levels of dopamine in the body. Their study will be funded by the National Institutes of Health, demonstrating the potential consequences of their findings for health in the general population. Dopamine is working behind the scenes in a number of crucial bodily functions, as well as our perception of reward and motivation. The neurotransmitter is produced in several parts of the brain, released by the hypothalamus, and used as a hormone throughout the body. With such an expansive reach, the hormone is linked to an incredible number of bodily functions including moods, cognition, sleep, and other behaviors such as circulation, metabolism, and heart stimulation. The big question facing the researchers is whether the content of the sound is the stimulus for dopamine production or if the act of hearing itself is linked with dopamine. Porfors and Perkel are curious to find how exactly how dopamine affects the cells, synapses, and neural circuits utilized in the process of auditory cognition. The study hypothesizes that dopamine may alter they way that our brains respond to particular sounds or voices. The research is not only engaged with auditory processing in humans either. Believe it or not, they have proposed to use recordings of “love songs” or mating calls used by mall mice when they communicate their eagerness to breed with female mice. The study will consider the effects of these “songs” on the auditory nerves of female mice that either do or do not have Parkinson’s disease. Quite a bizarre way to get at a well-known human experience! Although this research may confirm our experience of the mood-altering effect of sound, we already know a lot about the negative effects of hearing loss on psychological wellbeing. Those with hearing loss often experience anxiety at the expectation that they will be able to communicate easily in social settings and everyday life. Some become very frustrated when faced with their inability to communicate with others, and this frustration may cycle back into more anxiety or even depression. Added to these effects is the tendency for those with hearing loss to become isolated. For instance, those who feel anxious about the need to communicate in social settings may shy away from social interaction, not only in the form of big parties and loud dinners, but even in everyday encounters with people out-and-about. This isolation can feed back into the feelings of anxiety and depression, as well. 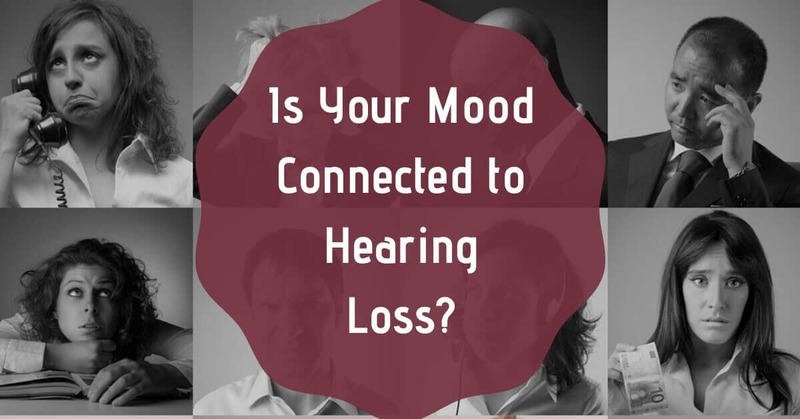 Treating hearing loss supports a healthier lifestyle – and can help improve your mood by reconnecting you to the sounds you love. If you have a hearing loss, the use of hearing aids brings significant benefits to your overall health and well-being. At Hearing Group, we provide comprehensive hearing tests and hearing aid fittings. If a hearing loss is detected, our team will work with you to find the perfect devices to treat your hearing needs.